U2 have pulled out of their 2010 Glastonbury headline slot and postponed North American tour dates as a result of Bono's recent back surgery. UPDATE: On 26 May, Gorillaz were announced as U2's replacements. Michael Eavis: "This is going to be Gorillaz' only UK festival appearance, and it'll be a massive audio visual spectacle which will really ignite the Pyramid on the Friday night, with Muse, then Stevie Wonder to follow. U2 had been scheduled to headline the Pyramid Stage on Friday 25 June 2010. Speaking on the official Glastonbury website, Michael Eavis commented: "It was obvious from our telephone conversation that U2 are hugely disappointed. "Clearly, they were looking forward to playing the Pyramid Stage as much as we were looking forward to watching them. At this point, we have no comment to make about possible replacements for U2's Friday night slot. Instead, we would simply like to send Bono our very best wishes for a full and speedy recovery." 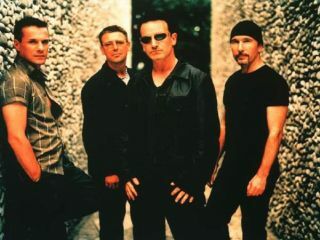 Bono suffered temporary partial paralysis as a result of an injury he suffered while training in preparation for the band's forthcoming tour dates and Glastonbury headline slot. "I'm heartbroken," said the U2 frontman, "We really wanted to be there to do something really special - we even wrote a song especially for the Festival." U2's manager Paul McGuinness told the BBC: "Our biggest and I believe best tour has been interrupted and we're all devastated. For a performer who lives to be on stage, this is more than a blow. "He feels robbed of the chance to do what he does best and feels like he has badly let down the band and their audience. Which is of course nonsense. "His concerns about more than a million ticket buyers whose plans have been turned upside down, we all share, but the most important thing right now is that Bono makes a full recovery. We're working as fast as we can with Live Nation to reschedule these dates." Gorillaz might find that being a supersub isn't all bad. Pulp played a triumphant set in 1995 when The Stone Roses pulled out as a result of John Squire breaking his collar bone in a mountain biking accident. At the time of writing, the cartoon collective aren't your first choice headline act. As you can see from the poll on the right hand side of this article, Led Zeppelin are currently running away with it. However, the consensus among the MusicRadar team is that Albarn & co will go down a storm.